Having a balanced and nutritious diet is especially important for the elderly. Dr Lim Si Ching, Senior Consultant, Geriatric Medicine from Changi General Hospital shares what are the essential nutrients that the elderly needs. ​is important as having a balanced and nutritious diet protects seniors against life-threatening diseases. Dr Lim Si Ching, Senior Consultant, Geriatric Medicine from Changi General Hospital (CGH), a member of the SingHealth group, shares the essential nutrients that the elderly needs for a balanced diet. Low protein intake among the elderly leads to muscle loss and osteoporosis. Dietary protein intake stimulates muscle protein synthesis, which leads to an improvement in lean muscle mass, strength and function. Increasing dietary protein intake has also been shown to improve bone mineral density of the femoral neck, reduce fracture risks and improve total body calcium. 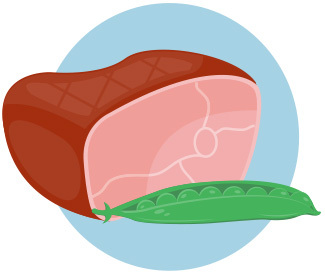 The Food and Nutrition Board recommends a daily protein intake of 0.8g/kg/day of protein for the elderly. This is the minimum amount of protein required daily to prevent a loss of lean body mass. This requirement increases when the elderly is admitted to the hospital, especially if they undergo major surgery. Protein intake should constitute 10 to 35 per cent of the daily energy intake. Sources of protein: The protein sources from animal protein and dairy products are considered higher quality proteins in terms of the higher proportion of essential amino acids that are useful for muscle protein synthesis as compared to vegetable sources. Osteoporosis causes fractures of the hip, wrist and vertebra as its most serious complications, resulting in mortality, loss of independence, functional decline, high fall risks and chronic pain. Calcium supplementation is recommended for those whose oral intake remains insufficient. 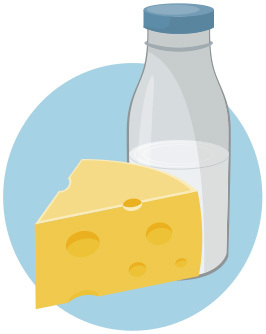 Sources of calcium: Dairy products, dried beans, kale, fortified juices, tofu and spinach. Low vitamin D levels have been associated with risks of falls, osteoporosis, fractures, cardiovascular diseases, metabolic disorders, cancers and poorer cognitive function. 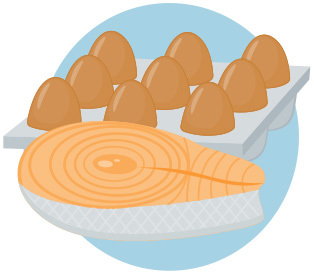 Sources of vitamin D: Egg yolks, cod liver oil and fatty fish like salmon, tuna and mackerel. 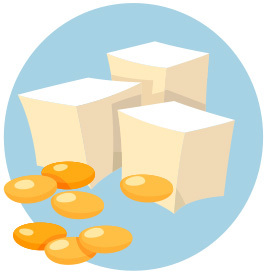 Foods fortified with vitamin D such as milk provide the bulk of dietary vitamin D.
Iron helps in the transportation of oxygen to tissues through haemoglobin and myoglobin. Iron stores also affect immunity cognition and muscle function. Anaemia is the most common cause of nutrition-related anaemia among the institutionalised or chronically ill elderly. Sources of iron: Heme iron from animal sources such as beef, pork, poultry and fish and non-heme iron from beans, dried fruits, enriched grains and fortified cereals. Nonheme iron needs to be in a soluble form for absorption; the ability to absorb is often reduced among the elderly. Vitamin A is important for vision, especially for sensing low light. Low vitamin A intake is often coincident with a low protein diet. 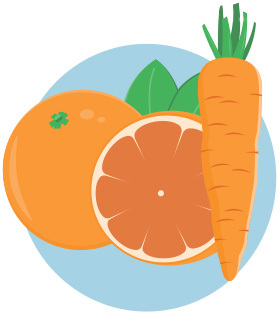 Sources of vitamin A: Green leafy vegetables, carrots, squash, eggs, beef liver and fortified foods. Vitamin B12 deficiency has been associated with depression, psychosis, sub-acute combined degeneration of the cord, dementia and multiple sclerosis. Common causes of vitamin B12 deficiency include pernicious anaemia, poor intake, and disorders of the stomach, pancreas and small bowel. 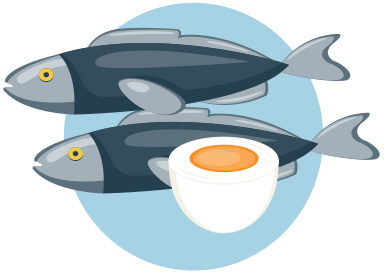 Sources of vitamin B12: Meat, fish, poultry, eggs and fortified cereals. Folic acid is important in DNA synthesis and amino acid metabolism. Deficiency causes anaemia and diarrhoea. 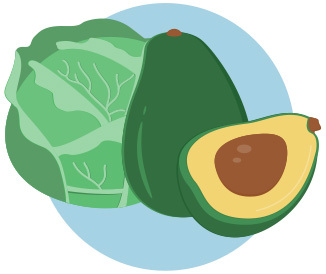 Sources of folate: Green leafy vegetables, fruits, nuts, beans, peas, dairy products, eggs, seafood, poultry, meat and fortified foods such as bread, cereal and pasta. 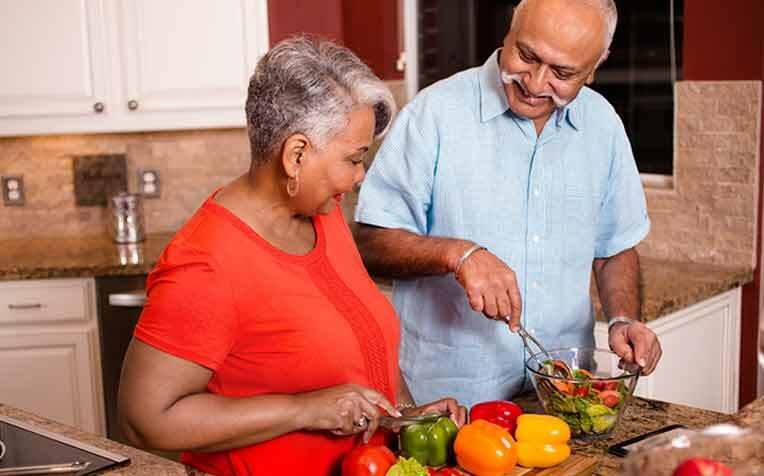 Read on for tips on how to help the elderly eat healthly.